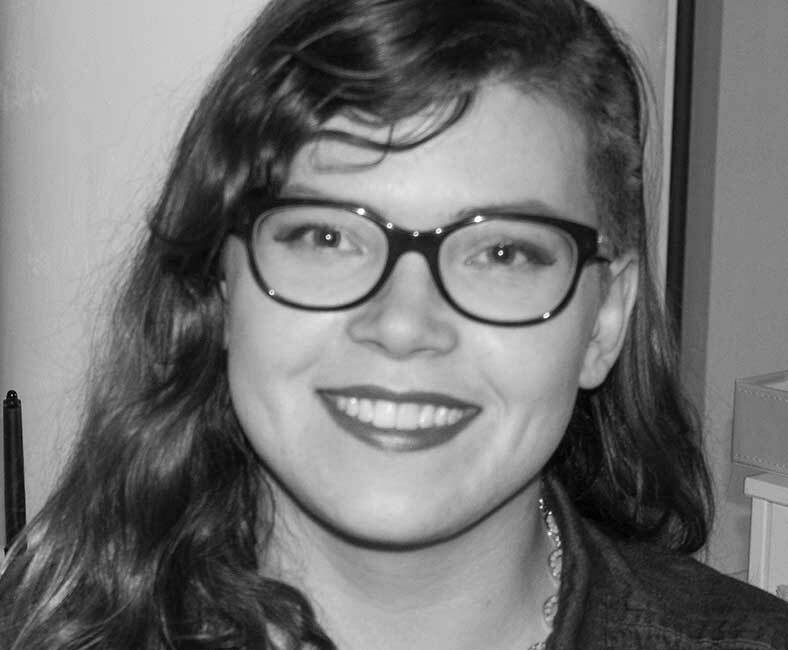 The SIGGRAPH 2018 Emerging Technologies Program will be the backdrop for new work that is focused on three core areas of our lives: health, home and entertainment. 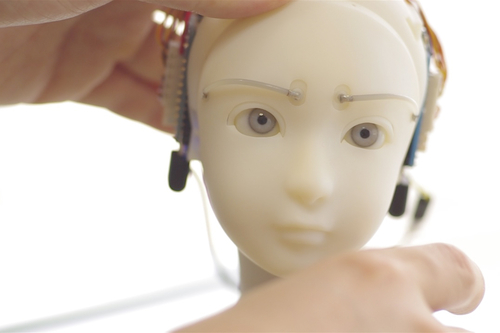 SIGGRAPH 2018 showcases emerging technologies that are exponentially expanding our human experience. 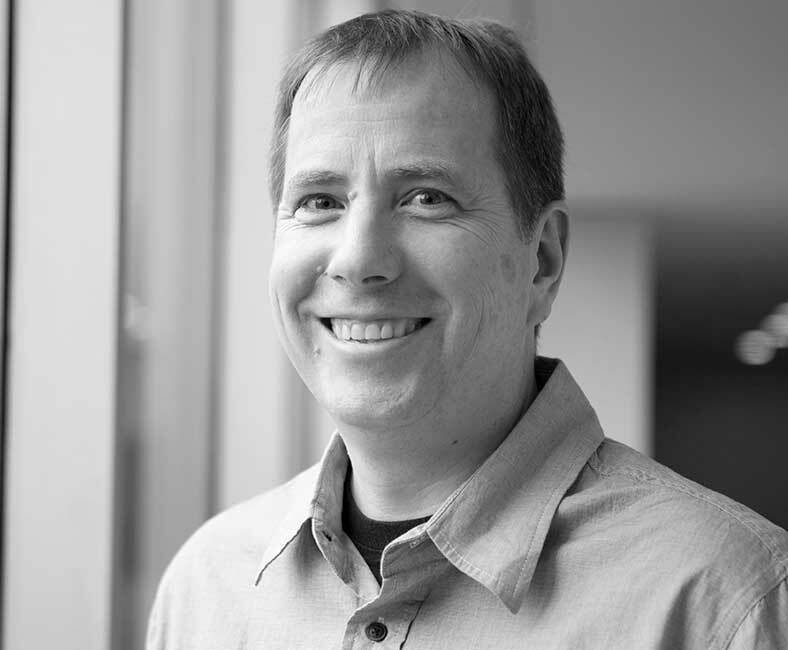 The internet of things, the quantitative self, and immersive technologies have matured, and the new data systems that support these innovations make way for more invention and interconnectedness. 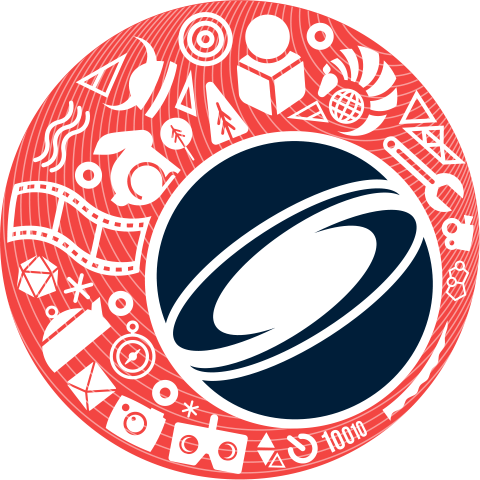 A variety of new research at SIGGRAPH 2018 will be showcased, including work focused on personal vicissitude; new products and systems to surround us in comfort and function; and new technologies designed to change the way we will approach sports, games and active watching. 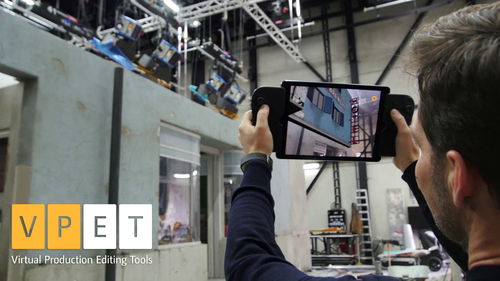 DescriptionThis installation presents a 24-bit full-color projector that achieves over 2400-fps motion adaptability using single-chip DLP technology, which will be useful for projection mapping applications in highly dynamic scenes. The projector can be interfaced with a host PC via standard HDMI and USB without the need of high computational burden. DescriptionThis project aims to augment the physical expression of the robot. 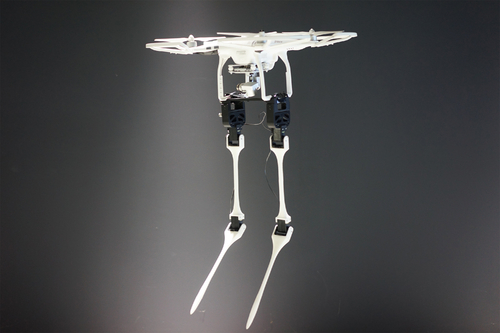 Aerial-Biped can generate bipedal walking motions interactively according to the motion of the quadrotor by using the novel foot trajectory generation method. DescriptionAutofocals is a hardware and software solution for presbyopes (those with an age-related loss of accommodation) that externally mimics the natural accommodation response. By combining data from eye trackers and a depth sensor and then automatically driving focus-tunable lenses, users can refocus by simply looking around. 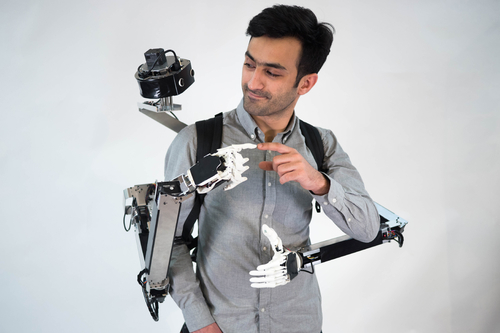 DescriptionOur exoskeleton motion capturing device leads you to a special interaction experience in the virtual world. 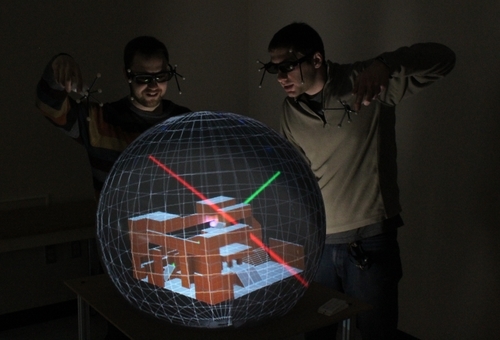 DescriptionCoGlobe uses an advanced spherical, fish-tank virtual reality multi-projector display and additional mobile displays to provide users a highly interactive, collaborative, co-located 3D mixed reality experience. DescriptionFairLift is an interaction system involving mid-air images, which are visible to the naked eye under and on a water surface. 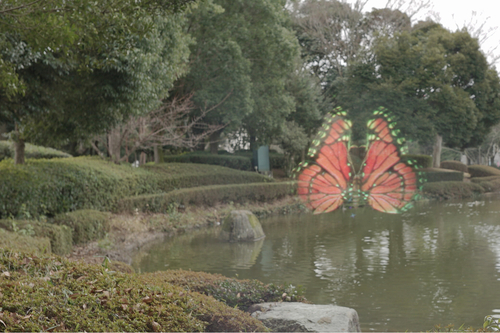 The system provides an experience for users to scoop up a mid-air image with their palms. DescriptionFusion is a telecollaboration system that allows two participants to share the same point of view and physical space for remote operation and collaboration. The system is designed as a backpack, and is operated in three different modes: direct collaboration, enforced body guidance, and induced body motion, enabling effective communication. 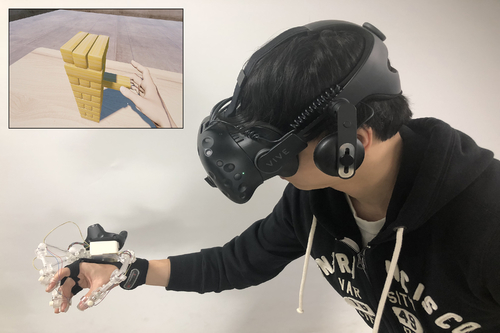 DescriptionThis work unleashes the physics limitation of a human body and induces a sense of arm elongation in virtual reality. 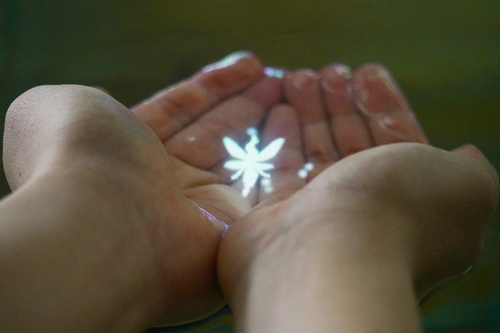 We mainly utilize the stimuli of touch/vision to reproduce this sensation. 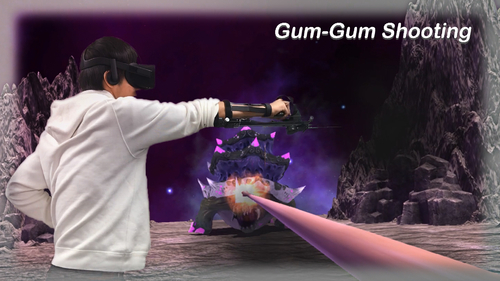 In addition, we designed a VR shooting game for users to enjoy the superhuman combat experience. DescriptionWe demonstrate how a virtual 3D anatomical model can be rotated, scaled, and translated using small head movements and voice commands. This enables easy hands-free manipulation by a physician during a vascular intervention—a type of minimally invasive surgical procedure in which catheters and wires are guided through a patient’s body. 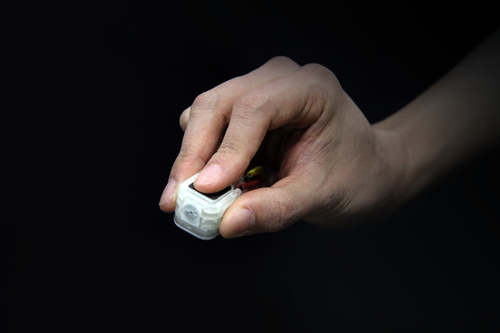 DescriptionHapCube is a small-size tactile actuator that provides tangential and normal pseudo-force feedback on users' fingertips. The tangential feedback simulates frictional force in any tangential directions, and the normal feedback simulates tactile sensations when pressing various types of buttons. 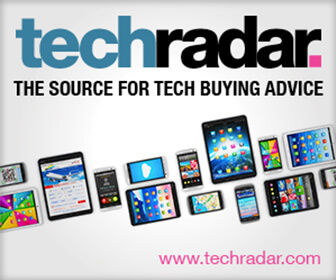 HapCube supports users' clicking and dragging behaviors on GUIs of VR/AR. 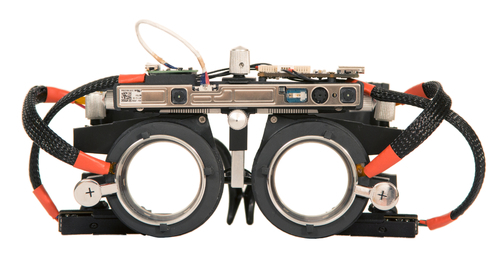 DescriptionHeadLight is a wearable projector system that provides wide egocentric visual augmentation. This provides projection angle with approximately 105 degrees horizontal and 55 degrees vertical from the point of view. With HeadLight, the three-dimensional virtual space that is consistent with the physical environment is rendered in the real world. 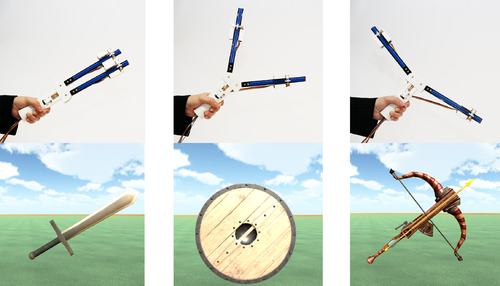 DescriptionLevioPole, a rod-like device that provides mid-air haptic feedback for full-body interaction in virtual reality and augmented reality. 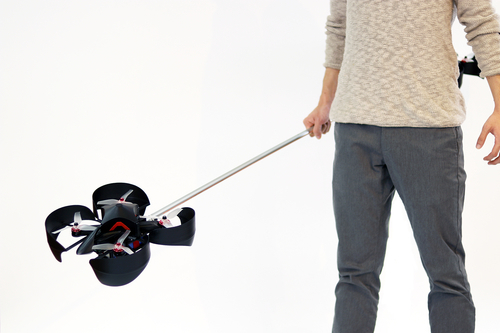 The device is constructed from two rotor units allowing portability and ease of use. These rotors generate both rotational and linear forces that can be driven according to the target application. 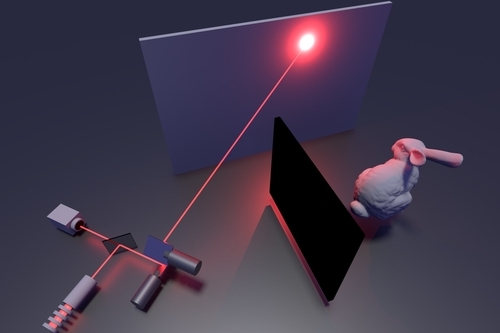 DescriptionWe present a novel design method for retinal image projection by using the metamaterial mirror (plane symmetric transfer optical system). Using this projection method, the designing of retinal projection becomes easy. It would be possible to construct an optical system that allows quick follow-up of retinal projection hardware. 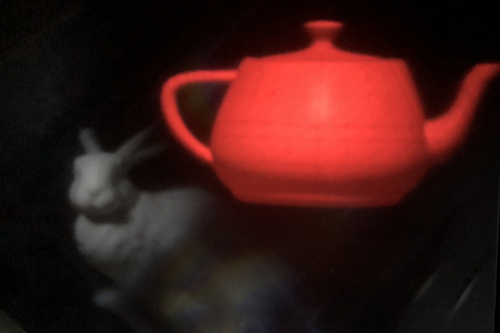 DescriptionA confocal scanning technique solves the reconstruction problem of non-line-of-sight imaging to give fast and high-quality reconstructions of hidden objects. DescriptionSEER (Simulative Emotional Expression Robot) is an animatronic humanoid robot that generates gaze and emotional facial expressions to improve animativity, lifelikeness, and impresssiveness by the integrated design of modeling, mechanism, materials, and computing. 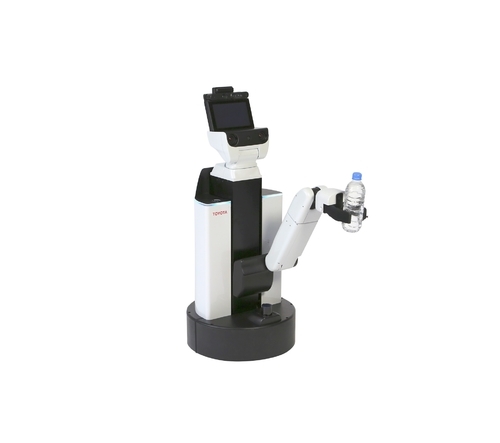 The robot can simulate a user’s movement, gaze, and facial expressions detected by a camera sensor. 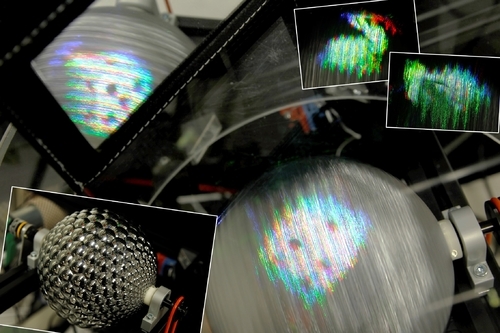 DescriptionWe present an optical system design for a full-parallax spherical light-field display based on the time-division multiplexing method. 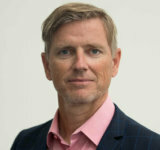 The proposed system offers features that are distinct from existing systems that make it suitable for specific uses, such as a digital signage and art exhibitions. 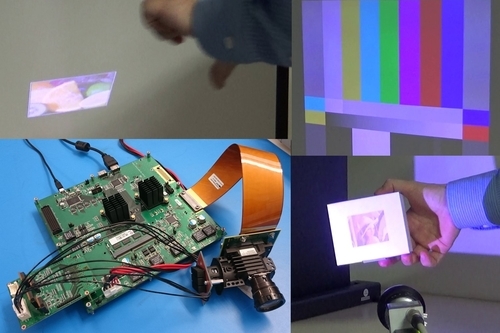 DescriptionThis augmented reality display uses interchangeable 3D-printed optical components to provide content-specific accommodation support. It also presents high-resolution imagery in a gaze-contingent manner by implementing a lens actuation based foveation mechanism. 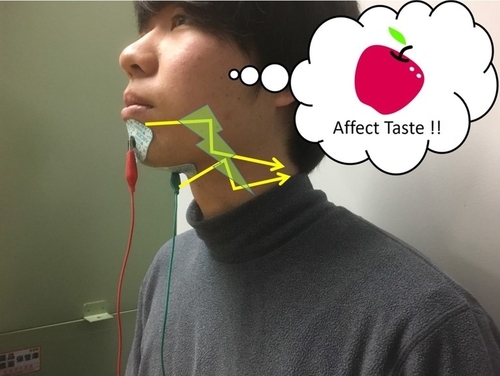 DescriptionThe purpose of our demonstration is to introduce the galvanic jaw stimulation (GJS), which is a technology used to induce, inhibit, and enhance taste sensation with electrical stimulation. In our demonstration, users will experience the taste changing without additional chemical materials. 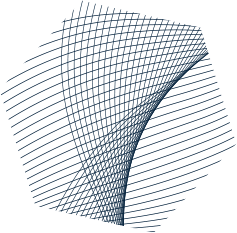 DescriptionTranscalibur is a dynamic weight moving VR controller for 2D haptic shape rendering using haptic shape illusion. 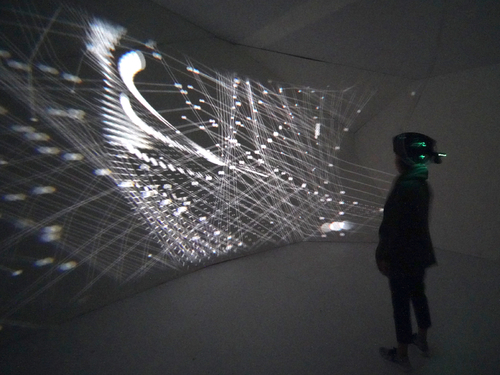 This allows users to perceive the feeling of various shape in virtual space with a single controller. Our user study showed that the system succeeded in providing shape perception over a wide range. DescriptionWe present a transmissive mirror device (TMD) based near-eye see-through display with a wide viewing angle for augmented reality. 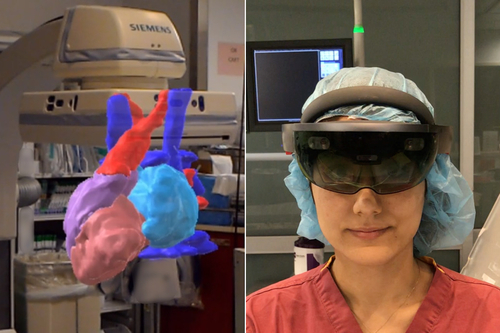 We develop a simple see-through display that easily sets up from a combination of off-the-shelf HMD and TMD. We demonstrate a prototype with a diagonal viewing angle of 100 degrees. 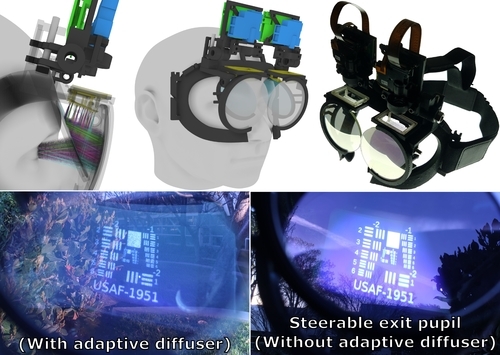 DescriptionWe present a varifocal platform for head-mounted displays. 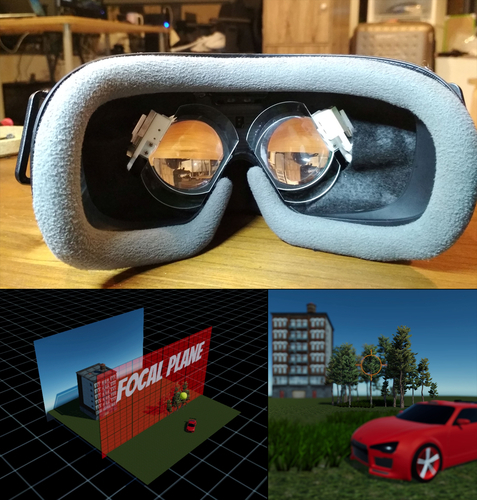 This platform eliminates the vergence-accommodation conflict and corrects the user's vision by dynamically adjusting the focus inside a head-mounted display. We introduce a varifocal rendering pipeline and compare multiple varifocal optical systems for adjusting focus. 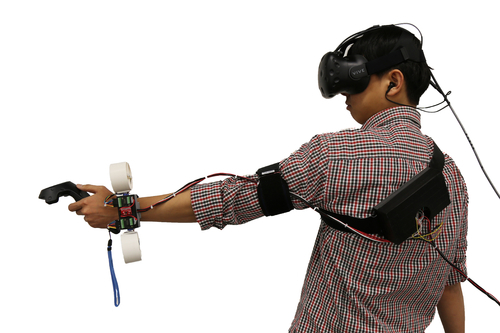 DescriptionUsing wearable propellers, Wind-Blaster allows the wearer to experience ungrounded haptic force feedback, increasing immersion in virtual environments without restricting movement.